We recently challenged top chefs from around the state to create dishes using our new line of gourmet salts from around the world in our Sensational Salts Weekends event at all Carter & Cavero stores. The result was an exciting and mouthwatering experience for all who came to visit. We were amazed by the chefs’ creativity and skill with salts like the Himalayan Pink, the Habanero Pepper and Hickory Smoked Sea Salt, just to name a few! Carter & Cavero is incredibly grateful to all the chefs and restaurants that participated in this event. Chef Dominique Filoni from Avenue Restaurant in Pier Village amazed us the blend of flavors he created with unbelievable ingredients like Hiramasa (a yellowfin kingfish from Australia) and our Sel Gris Fine (fine grey sea salt from France). 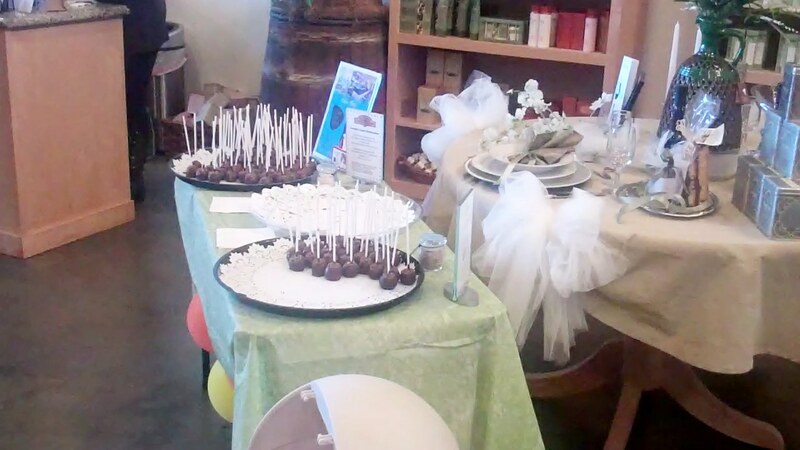 Chef Beverly Schoenberger from Cake, Bake & Roll in Pier Village made our mouth water with her amazing Chocolate Cake Pops drizzled with caramel and topped of with a dash of our Himalayan Pink Sea Salt. Another delicious treat from Chef Schoenberger was her Chocolate Dipped Marshmallows sprinkled with our Bali-Lime and Coconut Smoked Sea Salt. 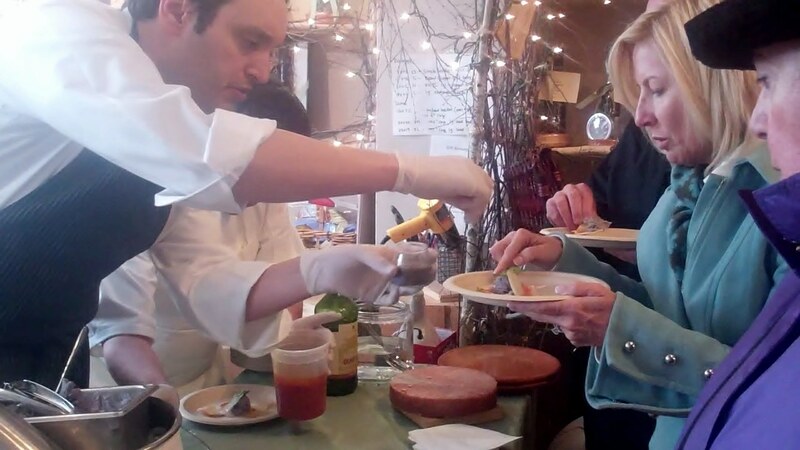 Judy Matthew, owner of Dish Restaurant in Red Bank, prepared an incredible Guacamole with our Habanero Pepper Sea salt, salted homemade tortilla chips and a delicious blood orange salad with radicchio. Pastry Chef Samantha from Dish was a hit with her Caramel Salted Brownies made with our Hawaiian Black Lava Sea Salt. The combination of rich chocolate flavor, buttery caramel and the tiny bits of salt made these brownies unforgettable! Chef and owner George Lyristis of The Bistro at Red Bank and of Zoe: An American Bistro in Little Silver amazed us with his ceviche creations using sushi grade tuna and salmon to demonstrate the taste and quality of the Hawaiian Black Lava Sea Salt, Himalayan Pink Sea Salt, Yakima Applewood Smoked Salt and our Habanero Pepper Sea Salt. 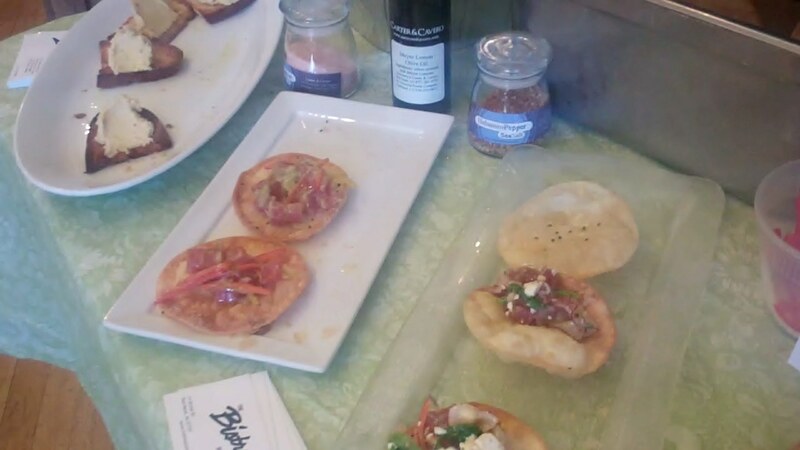 Executive Chef Luis Bollo from Mediterra Restaurant created a smokey, mouthwatering dish with blue Peruvian potatoes, sliced scallops and our Hickory Smoked Sea Salt on a bed of Carta de Musica, a paper-thin cracker from Sardinia salted with our Fleur de Sel. Carter & Cavero thanks all who came to the Sensational Salts Weekends events. We look forward to bringing you more delicious and exciting events this spring! Please be sure to visit the restaurants that participated in our events. They certainly proved themselves to be top chefs!